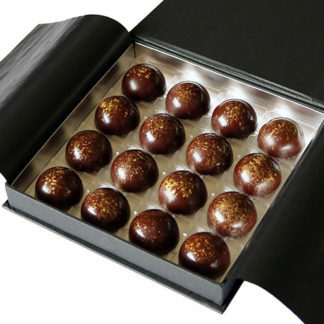 66% dark chocolate made with a unique blend of cacaos from around the Caribbean, with shards of crunchy salted butter caramel. 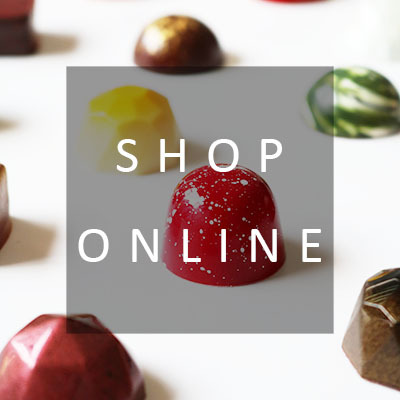 A modern classic – crunchy caramel made with fresh Normandy butter, enhanced with flakes of the finest sea salt, for a perfect contrast of salty and sweet. 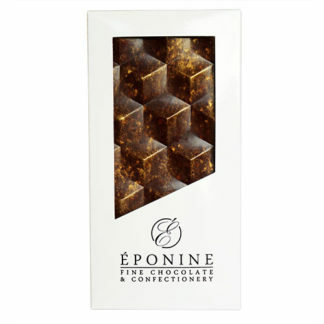 Combined with rich dark chocolate, this decadent bar is burnished with edible gold for a luxurious finish. 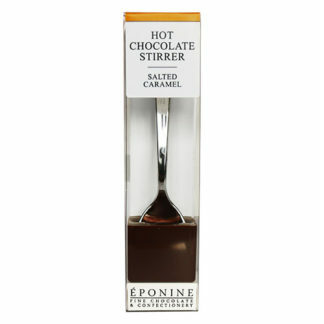 Inspired by our ever popular and award winning salted caramel chocolates.